The Story of Tetris | Gaming Historian: In 1984, during the Cold War, a Russian programmer named Alexey Pajitnov created something special: A puzzle game called Tetris. It soon gained a cult following within the Soviet Union. A battle for the rights to publish Tetris erupted when the game crossed the Iron Curtain. Tetris not only took the video game industry by storm, it helped break the boundaries between the United States and the Soviet Union. Der Amiga Shooter Inviyya macht Fortschritte. Im aktuellsten Video ist die Kollision deaktiviert um ehestmöglich viel zu zeigen. Fight Theme Acapella von Smooth Mcgroove. Das Original-Lied gibt es im Spiel Punch Out. 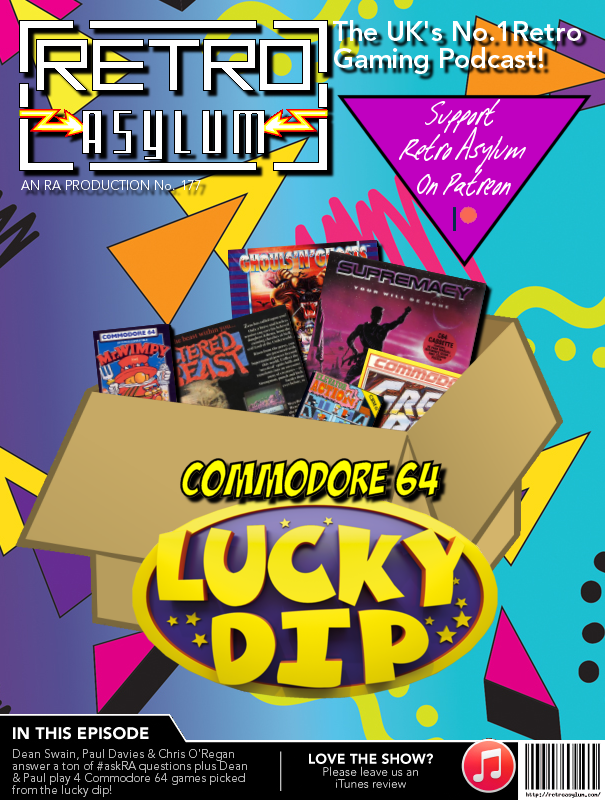 Retro Asylum catches up with Dean Swain, Paul Davies & Chris O’Regan as they answer another round of #askRA questions plus Dean & Paul play four Commodore 64 games picked at random in the debut of our new „Lucky Dip“ feature.